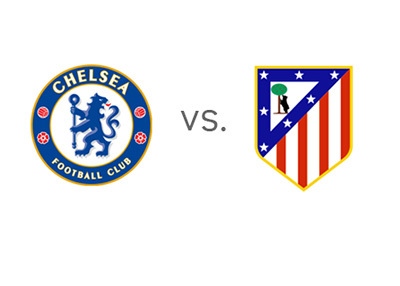 Both Chelsea and Atletico won their weekend games ahead of the big UEFA Champions League semi-final second leg showdown at Stamford Bridge on Wednesday, April 30th, 2014. The score from the first leg is 0-0. Atletico won their weekend league game against Valencia with the score of 0-1. Diego Costa & Co. have won their last nine Spanish league games, conceding only one goal in the process. Now, Diego Simeone's team are only two victories away from the Spanish La Liga title. Six points out of the remaining three matches would be enough. Gabi Fernandez will have to sit out the upcoming match due to suspension, while Arda Turan might not start due to injury. According to the odds, Chelsea are the favourites to win at home, while the two teams have equal chance of qualifying to the tournament final. The most likely scorelines on Wednesday are 1-0 and 1-1, both offered at 5/1. Chelsea and Atletico are famous for their strong defense. For the impartial viewer, it would be the best if there was an early goal. Then there would, most surely, be fireworks! The winner will play against either Bayern Munich or Real Madrid.